Wendy Jensen and Janet Channon have created, developed, and run this successful business since 1989. 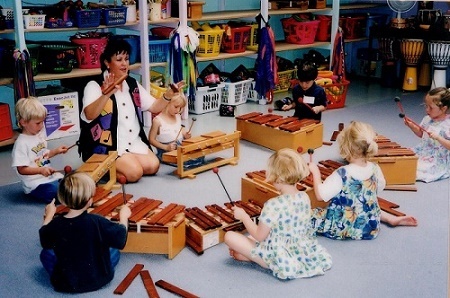 Year after year Janet and Wendy see the great contribution purpose-built music and movement activities make to a young child's growth and development; mentally, physically, socially and emotionally. Positive results from students in their classes, as well as adults working with the thousands of children who enjoy their music, has encouraged Janet and Wendy to write and record a huge range of original resources for children. Adults who share these musical experiences with their children see first-hand how easily children learn when they are having fun. Research over the last 15 years on children’s brain development has shown that young children are primarily right-brained, that is they learn best through multi-sensory experiences. 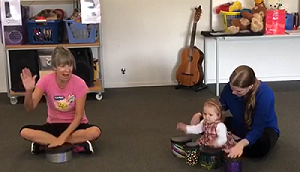 This supports the knowledge and experience Wendy and Janet have gained over 30 years of teaching and is the reason why they develop songs which involve the whole body and multiple senses. When learning is anchored in practical experiences, children gain understandings which later form foundations for academic learning. Janet and Wendy advocate the Orff style of teaching. This was developed by Carl Orff in the 1930's and is now well respected around the world in the field of music education. Using music as the tool to motivate children’s involvement in multisensory learning makes a lot of sense. 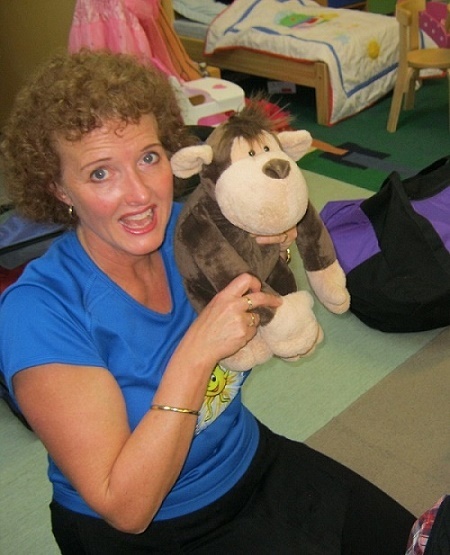 From a wealth of teaching experience, level 4 Orff qualifications, and course work with Orff practitioners from around the world Janet and Wendy have carried these whole-body whole-brain principals into their song writing. Purpose-built songs and activities which stimulate children’s multisensory, whole-body responses make for powerful learning, and add a new dimension to music for children. This aspect puts Kids Music Company programmes and resources apart from most other children's music. Classes are currently taught by Janet and Katharine, carrying on our long tradition of making music an opportunity for fun learning.